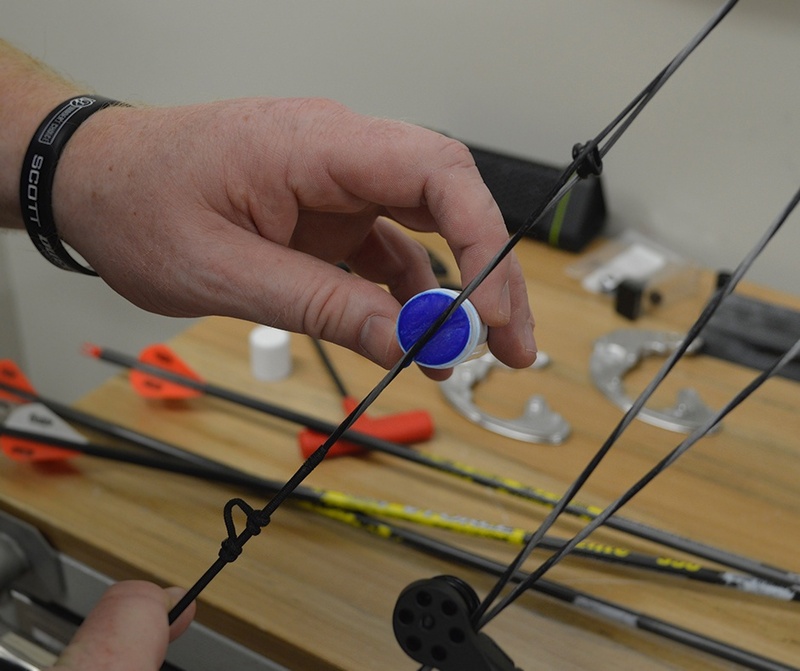 The Winner’s Choice strings do not fray even after shooting thousands of arrows through them. I shot my Winner’s Choice strings all through last indoor season and I won Vegas with them, and I also shot them all through outdoor season without putting a drop of wax of them. This is why I prefer not to wax my strings as often. I also do not want to slow my string down from the excess weight from the wax. When I wax my string, I cover all of the exposed of string in wax. I start to rub the wax in with my fingers. After, I take a piece of leather to make sure the wax gets into the string, and I rub the string fast to heat the wax up. When I finish, I take a piece of loop material and rub it down the string to get the excess wax off. I have also had people ask me if they should wax their serving. I do not think a person should wax their serving because it is meant to protect the string. The serving material is fine as it is, and it does not need anything extra on it.